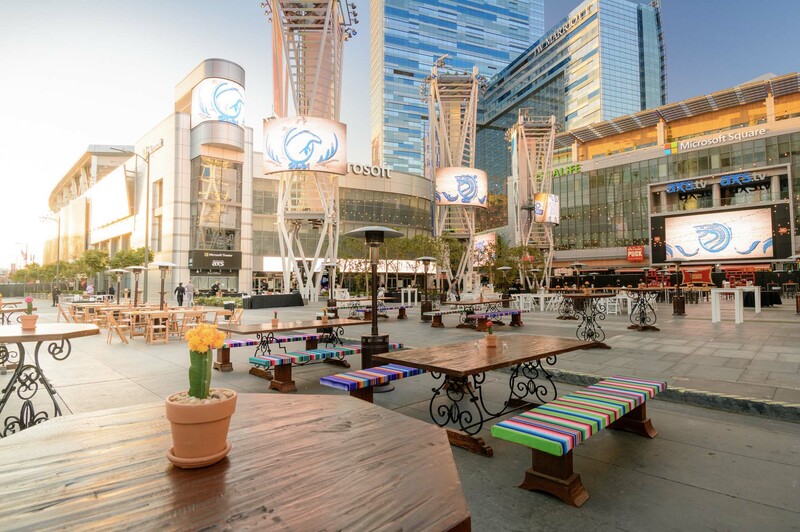 Recently, The Bixel Team produced a magnificent event in Microsoft Square at L.A. Live. The goal of this event was to showcase the fantastic diversity that the city of Los Angeles boasts. The Bixel team utilized décor + cuisine to give the clients an authentic ‘LA Experience.’ We also included the ‘Hollywood’ element of Los Angeles by incorporating look-alikes and live entertainment.